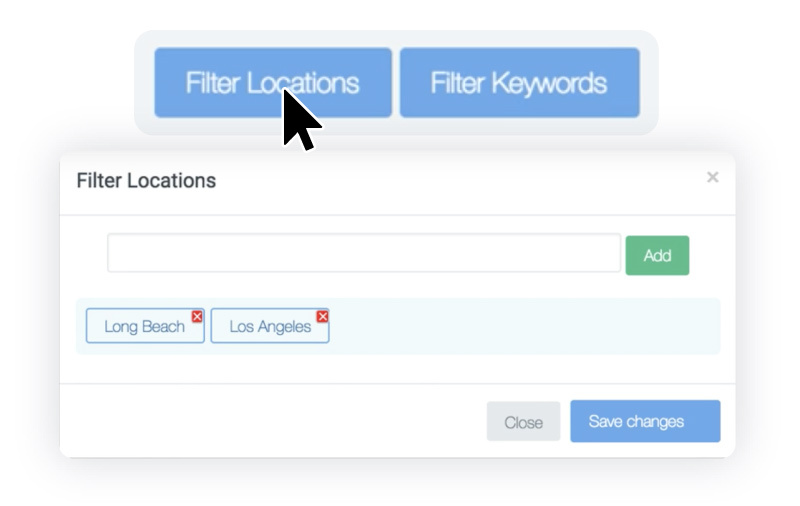 FunnelAI collects and filters through social platforms for posts that impact your business. Auto dealers, for example, receive a stream of qualified prospects who have expressed a need to buy a new car, sell or trade their existing one, or even a better service option. Auto Dealers can connect with these prospects in real time. FunnelAI’s Aingine® uses natural language processing (NLP) and with machine learning and image recognition to identify users with high purchase intent. 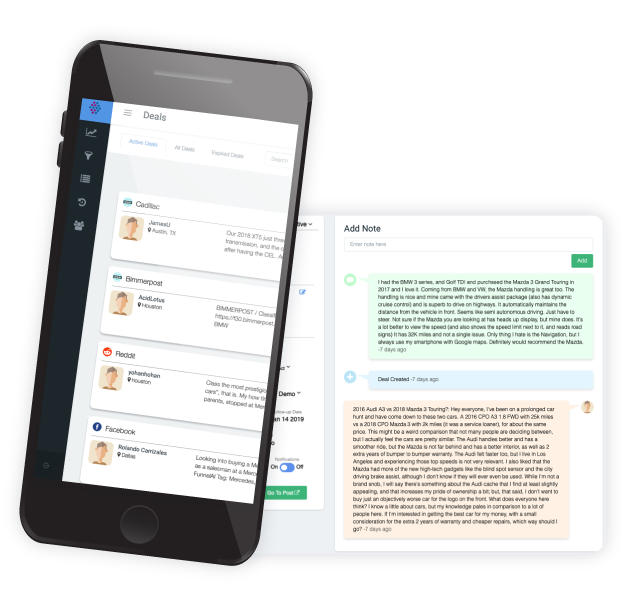 FunnelAI then displays relevant prospect to users in real time allowing them to act immediately. FunnelAI helps build relationships. With our customer lifecycle management (CLM) dashboard, auto dealers can engage their customers directly, timely, and more often. Allowing their business to help support their customers with new products or additional services they require. FunnelAI helps businesses to target the prospects that are in the market to purchase or subscribe for their service. Businesses also have an option to respond to the prospects or can use our hyper target ad platform to connect with the prospect. Our powerful analytics can help you visualize your potential to grow with the display of real analytics on the number of prospects looking to purchase a vehicle. With the ability to search through millions of social data posts daily, FunnelAI identifies prospective customers with a high intent to purchase products or services from your business and enables real-time conversations with those prospective customers. 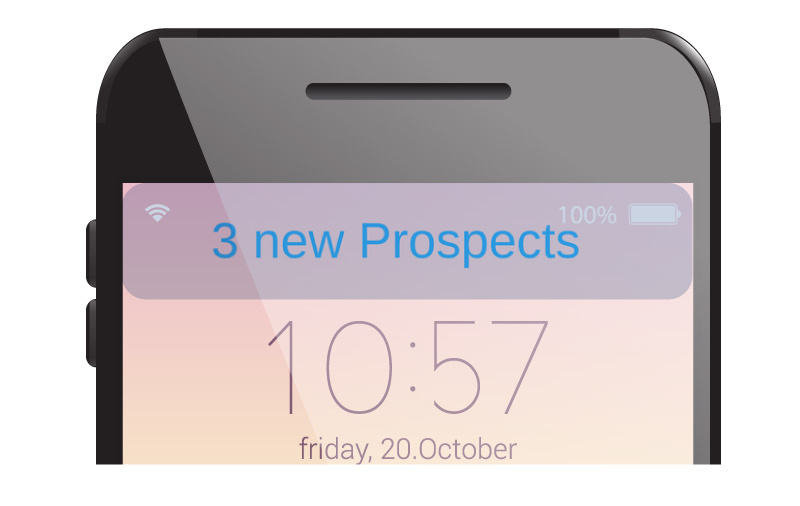 That means less time looking for prospects, and more time converting them into buying customers. Our AI models categorize the buyers based on the specific brand or model they have expressed interest to purchase, or looking for servicing or parts for their model. Our AI can further categorize by type of the vehicle if it’s a sedan, truck, SUV, electric or even hybrid. The categorization helps the salesperson to narrow down the search and target the customers in real-time. We identify the prospects based on the public location they share or mention in their posts. Our algorithm can help determine the closest location of the prospect that helps the dealers to connect with them based on their geo-location. 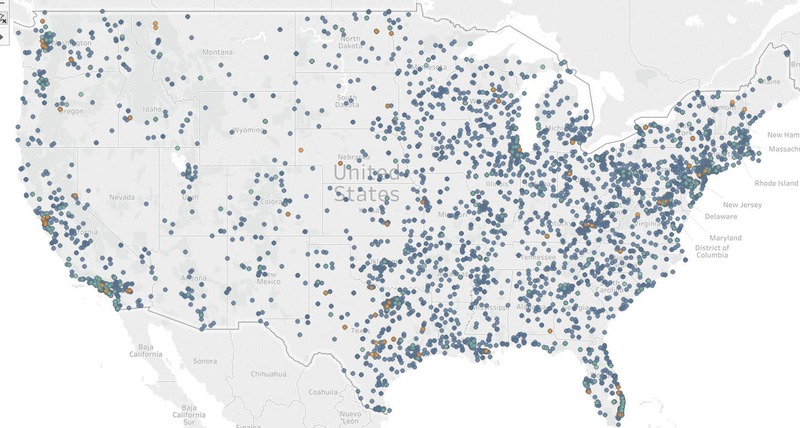 With the combination of make, model and geolocation filters, we present the dealerships with the highest quality leads data to connect prospects with dealerships in real-time. Your next customer is waiting to hear from you!